I wrote my goals out this month, they have changed again since last year. I've accepted that it's okay to change it. Its okay to let go of somethings, to bring in the new. Its okay that you can't do everything, because it will allow you to focus in and do extraordinary things. 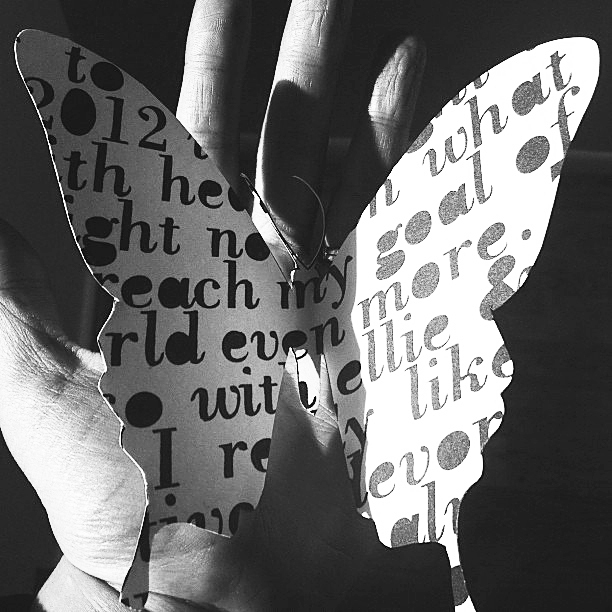 So thats what I was able to do today, to type out my 2012 goals and turn it into a butterfly. Because whatever it is, it is already transforming and happening..